At least 10 people were injured in the Swedish city of Malmö after local police unleashed a mounted charge at participants of a rally against Sweden’s neo-Nazi party. Clashes with police erupted as anti-fascist activists attempted to block a rival rally. 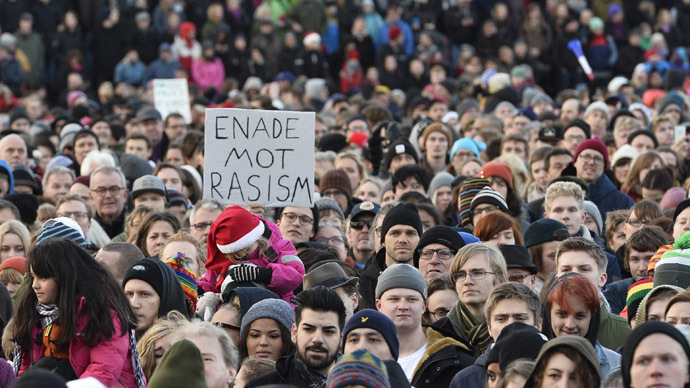 Around 1,500 people on Saturday gathered at the Limhamn square in the center of Malmö to protest the planned speech by Stefan Jacobsson, the leader of the neo-Nazi Svenskarnas Parti (The Swedes’ Party). 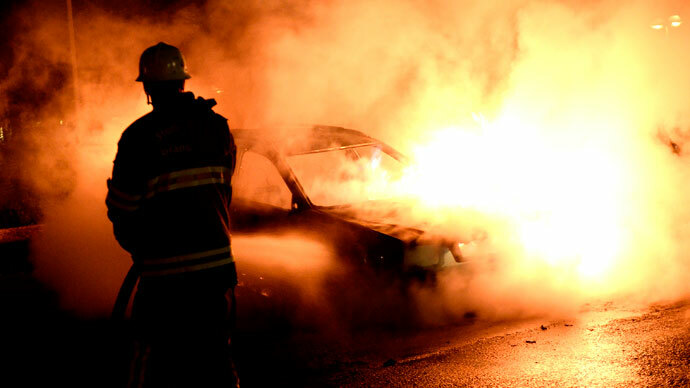 The tension mounted even ahead of Jacobsson’s appearance, with demonstrators throwing fire crackers and smoke bombs, the Local reports. 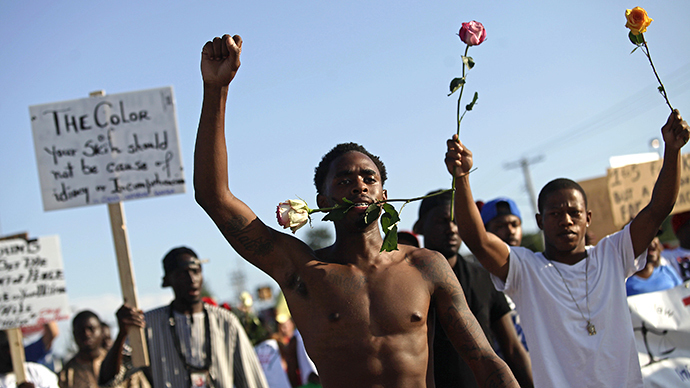 But the violence broke out when Jacobsson completed his address, with the scuffle starting between the protestors and the police. 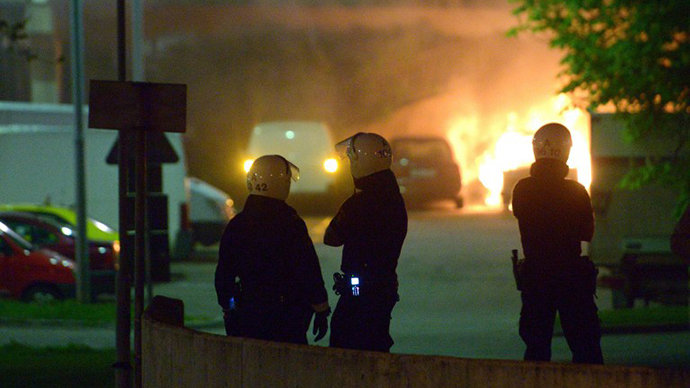 According to Sydsvenkan paper, the majority of the protestors were peaceful and the clashes were provoked by a group of “provocateurs” among the anti-fascists. Police then moved to forcefully disperse the rally using mounted unit. As chaos broke out in the square, several people fell on the ground and were trampled by the horses, while another protestor was hit by a police van. Ten people were taken to hospital after the rally, with five of them reportedly suffering serious injuries. 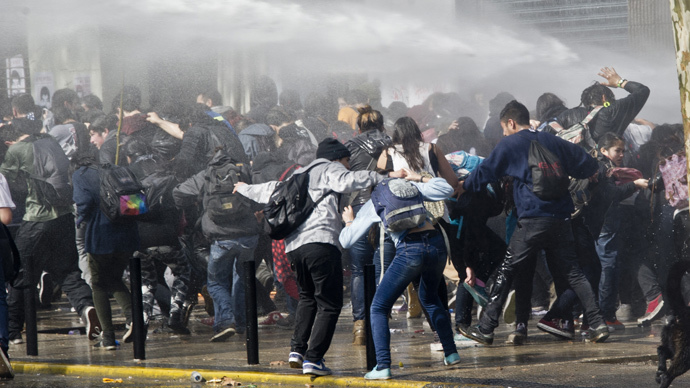 “We were forced to ride in because masked demonstrators had moved to the outside of the square and we needed to make some arrests,” Ewa-Gun Westford, police spokesman, told the TT news agency. 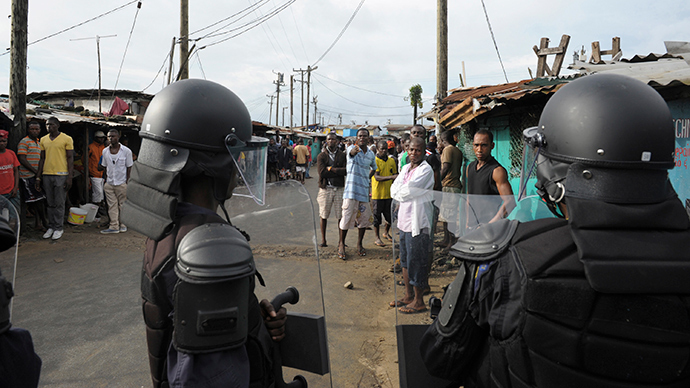 Six people were detained following the clashes, with one person being held on suspicion of assaulting a police office. Jacobsson, who is campaigning for the Swedish general election on September 14, held a speech in the town of Ystad earlier on Saturday, which went on without incident. 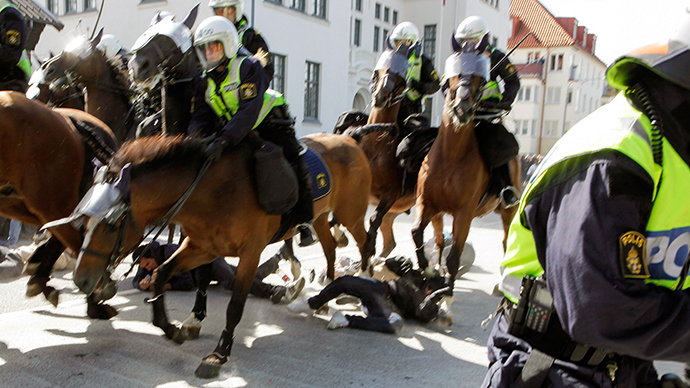 This is not the first time Malmö has witnessed disturbing scenes of violence during protests, in March 2013 a standoff between anti-racist demonstrators and anti-Muslim group the Swedish Defence League (SDL) was similarly dispersed by police using horses, dogs and helicopters.